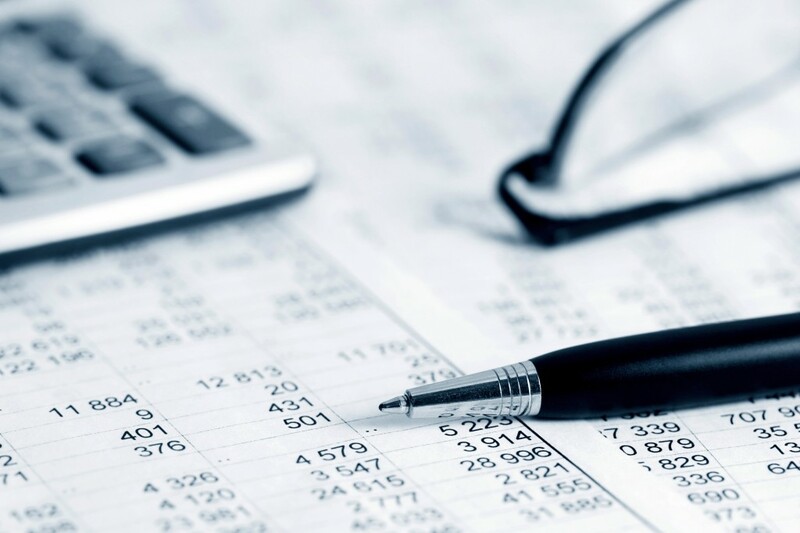 Have you been in a budget planning meeting trying to defend the costs associated with your department’s operation? Maybe you are being asked to do more with a flat budget or you have already cut the budget beyond where you believe is prudent. You try to explain the challenges of managing technology and the need to make investments to support the business. Or perhaps you are simply trying to argue why the budget and allocations need to go up to meet additional expenses. These discussions are usually difficult, especially when the underlying belief is that IT costs too much. After a few rounds of budget discussions (that may be better characterized as edicts), you’re worn out. Of course the front line revenue producers get the funding they need, but you’re left feeling like a second-class citizen having to go to battle for dollars to support your operation that often leaves you underfunded in areas of innovation and investments in staff training and retention. There is a better way. 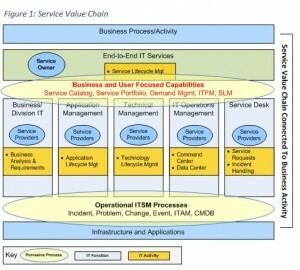 Those of you that read my last blog, “Are Your ITSM Initiatives Tied to a Service Centric Vision?”, know that re-orienting your delivery model with a service value chain perspective can have a dramatic impact on how you engage your customers, and the perception of the value you provide. At the top of the value chain are business activities supported by services (see illustration). This is where the business paradigm with your customers changes. Discussions that focus on services (rather than technology or solutions) provide a common business oriented framework to engage your customers and constituency. These services are enabled and managed based on what your customers need. If they do not understand what you offer and how it meets their needs, you’re going to have a very difficult time convincing them to spend money on it. Underpinning your services are “front office” capabilities that directly influence the type of service you offer, how you sell them (yes, I said “sell” – more on that in a minute) and the way you deliver and manage them. This includes Service Portfolio, Catalog, Demand, Financial and Service Level Management. Refocusing your operation into a service framework enables you to articulate value to your customers in terms of what you sell, not what you do. This is key – I often hear service providers talk about services in terms of what they do, not what they sell. For example, the network folks want to talk about routers, switches and the LAN/WAN connections they manage. These are things they do. What they sell is access; every customer needs it and it has a discernible cost based on the type and use (the value discussion starts here). It is likely most of your customers (the ones driving your organization’s revenue) are more interested in a service value discussion like that instead of a discussion about how many more widgets are needed, or how complex the environment is to manage.